Since our energy body or aura and visible physical body merge with each other, if one gets affected, the other might get affected too. The science of Pranic Healing is based on the concept of healing the energy body or the human aura. Pranic Healing is a no touch healing therapy. The two basic principles of Pranic Healing are cleansing and energizing. Cleansing means removal of the diseased energy from the health aura and energizing means adding prana or life energy to the affected area. Aura has been explained as the luminous energy body that surrounds the visible physical body and extends beyond it by four to five inches. Any disease or ailment first appears in the aura and then spreads to the physical body. Master Choa kok Sui has explained if these diseases could be identified while they are still in the energy body, it is possible to stop them from spreading to physical body and prevent it from getting sick. Cleansing is very important as it removes the diseased energy from the whole body or the affected part and to remove blockages in the energy channel. 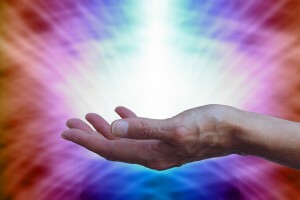 The energy body becomes ready to receive new prana or life energy from the healer. If cleansing is not done properly then energizing might heighten the level of discomfort in the body. Pranic Healing is used to heal minor as well as major diseases. While minor diseases can be healed in a few sessions, major diseases might take regular healing sessions and a few months to heal. Pranic Healing is a supplement of medicines and doctors. So it is always advisable that a patient must carry on with prescribed medicines from his or her physician along with the healing session. Since our body is already programmed for self-recovery, Pranic Healing increases the rate of healing by three times or more than the normal rate.It is important to highlight the fact that a Pranic Healer does not use their own energy for healing purpose. Instead they use prana from the surrounding or from divine sources. Therefore, a Pranic healer acts as a pump rather than a jug of energy and prana is not depleted from their own energy body. Who can Become a Pranic Healer? Learning Pranic Healing is as simple as learning to drive. It requires learning some basic techniques and principles and could be learned in a few sessions. All that is needed to learn Pranic Healing is an average intelligence, an average ability to concentrate and persistence along with an open and discriminating mind. Master Choa Kok Sui, in his books, has given simple instructions regarding the processes of scanning, cleansing, energizing and stabilizing. Following these simple instructions may lead us to a great deal of benefits. What are the Advantages of Learning Pranic Healing? The advantages of learning Pranic Healing are many. A Pranic healer can do self healing and can heal ailments of others around him too. He can give relief to children suffering from fever or some wounds or burns around him too. He can also heal headache, gas pains, toothache and muscles almost immediately.